I don’t always recommend things, but when I do it’s because I tested it myself. I won’t share a recipe I haven’t tried myself, I won’t suggest a book that I haven’t read myself – it’s the only fair thing to do. The thing I introduce to you needs to be compatible with my believing and my lifestyle. 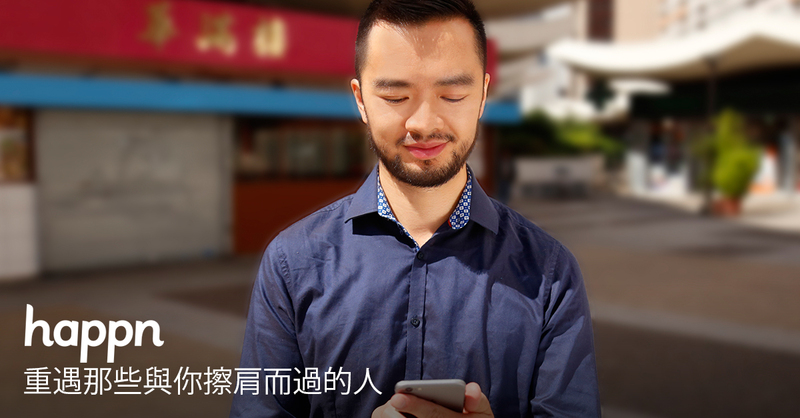 Having that in mind, I’m happy to share some big news – very soon a new dating (and in my opinion ‘/social’) app called Happn will be available on Hong Kong’s market. If you read the story how we met, you will know that we actually had a mutual friends long before our paths crossed. It makes you think how many occasions to meet we have missed and how many chances you might be missing right now. It is my answer for ‘Lina, any suggestions how to meet up girls/guys in HK if you’re too shy to do it in real life’ or you just seen that girl for a moment next to stinky tofu stand and you have to find her. You already know she likes stinky tofu, same interests, bam – you’re in love. Once you find her of course. But let’s go to the beginning – what it is and how does it work? Happn is a dating app, developed by French people that now has over 6 MILLION users! It ties to your Facebook profile when creating the account, but it doesn’t give out the information neither does post on your wall. I tested it on Sing’s account, just in case. It uses your GPS location and your interests from FB profile to find you a match that you have crossed paths within 250m. In that radius you should get a list of people with similar interest, visiting same places as you. Why would I personally recommend it? Geolocation feature – it’s great, especially in a megacity like Hong Kong. It’s not just ‘Location: Hong Kong’, but it will feature districts. And who knows, maybe in a year or two the radius will be even smaller and you will be able to see who in your apartment complex or work building is interested in you! You have IFC gossip group, maybe you will have IFC location – who knows?! Safety – you can meet psychos both online and in real life. But in the app you have a great feature of a report button, a linked Facebook profile, and a GPS. That’s the best you can do. User friendly – works well on Android and Apple products, I think it’s slightly better on Android when it comes to geolocation, but that might be fault of my phone which got crazy recently. Best thing about inter-phone-marriage is I can always test things on two operating systems. Setting up a profile takes half a minute, two more minutes for the introduction and checking out the functions and voila. It’s that easy. In case of rejection you save your ‘face’. I can’t say it about every man in Hong Kong, but I can speak for my friends and my husband himself – the face is one of the most important thing they have. Being rejected means losing the face, but your crush won’t see you like her unless she likes you back. You might be rejected, but no one knows it besides you. Socializing tool – Happn doesn’t need to be seen as a strictly dating app. I find it as a great socializing too. Whether you’re too shy to talk to someone or you just feel very awkward, with the ‘mutual interest’ section you might be able to find a really good friend to hang out with. Now here’s the bomb – to prove that Happn is indeed a good socializing tool, Sing and I will keep Happn on our phones during our trip to Hong Kong later this month (27.09-06.10) so you, my Dear Readers, can see if we crossed the paths! I cannot wait! I hope after reading this post you are as excited as I am! 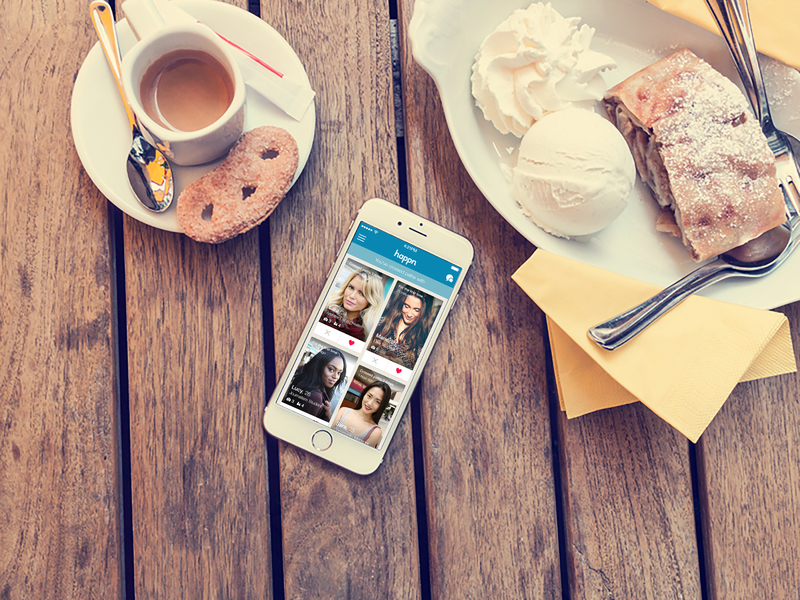 Let us know what you think – would you give Happn a try? Or do you know someone who successfully found a partner on Happn? A great way of meeting people and hopefully with the same interest and hobbies. hopefully I will be able to read a story of my Reader saying ‘Hey Lina, thanks to the app you mentioned I found the girl that stole my heart at a local noodle store!’ 🙂 thank you for commenting! Sounds interesting, if someone is open to the fact that other people can see where they are right now? You know what? His hairstyle looks exactly like the one of our friend Sing. But I, on the other hand, force fashionable hairstyles on Mr. Panda. That is actually pretty cool. An interesting way to meet people with shared interests. I mean, now that people are all staring at their phones and never look up and see which individuals might be at their favorite coffee shop, park or restaurant. Interesting, similar features to several other dating and hook-up apps. There is a certain level where I think the technology is a good thing and others where it creeps me out. For example, how does my Facebook profile really give anyone enough information to know whether we’ll have a chance of getting along? i haven’t used any dating app for so long. i would feel so out of place if i were to join one. send me a mail to willybenjamin8@gmail.com let get to know our self and i really want to know you more willy.